The show is on for two more days (if you count today!!) 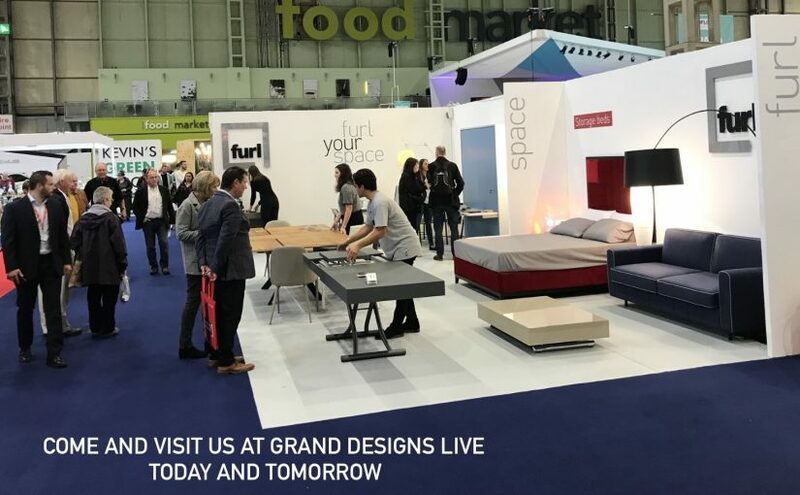 but there is still time to visit us at Grand Designs Live. It’s our first year at the NEC in Birmingham and so far it’s been fantastic. But if you are yet to visit, then book your tickets and come and see us. Not got any Sunday plans yet? You have now!! To give you a little taster, here are a few pictures of our stand. It’s bigger than any stand we have had at the Excel in London. 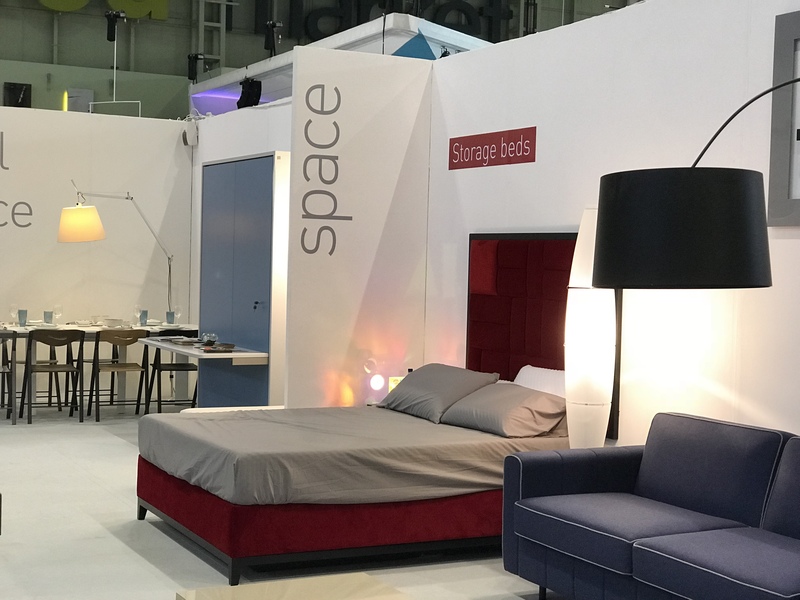 With all of our products on show this year – storage beds, sofa beds, wall beds and clever tables, you are in for a treat. Our founder, David, is also at the show today and tomorrow. So if you fancy meeting the brains behind the brand, then this weekend is your chance for that too. We’ve already met so many great people since it opened on Wednesday, and have been asked loads of great questions too. I thought I’d answer a few of the questions for you on here as well. Just in case you don’t get a chance to visit and ask us in person. 1. Where do you make your products? We make our products ourselves in our workshops in Nottingham. So we actually aren’t based too far away from the show. 2. Where can we come and see your products? Our showroom is in Wembley in London, just opposite from the big Ikea. We open up on Wednesdays and Saturdays by Appointment, that you can book through the website. We have lots of parking, and are only 10 minutes walk from Neasden Tube Station. 3. How do you deliver your products? In complete pieces. We then bring them into your room, assemble them and take the packaging away for you. That’s if you want us to of course – if you fancy assembling the products yourself, then you are more than welcome to. 4. How many times do you have to open and close that table today? We have our clever tables on the stand, and are more than happy to show you how they work. At the show we are probably opening and closing each of them 200 times a day. By the time the show finishes, they will have well exceeded their usual lifetime of use! So it may be a lot of times, but its a great way of showing you how excellently sturdy and hardwearing our tables really are! Plus we love opening and closing them, so to us its a whole lot of fun! 5. 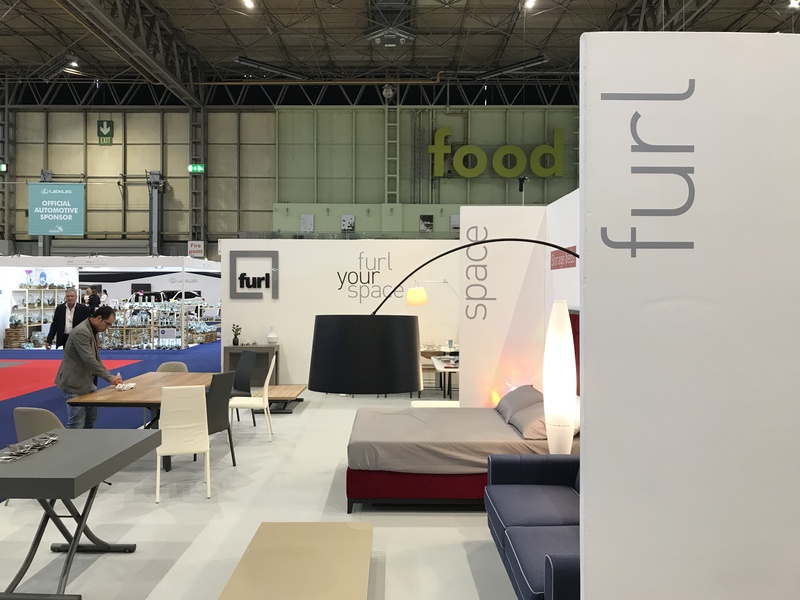 Will you sell your show furniture off at a discounted price? 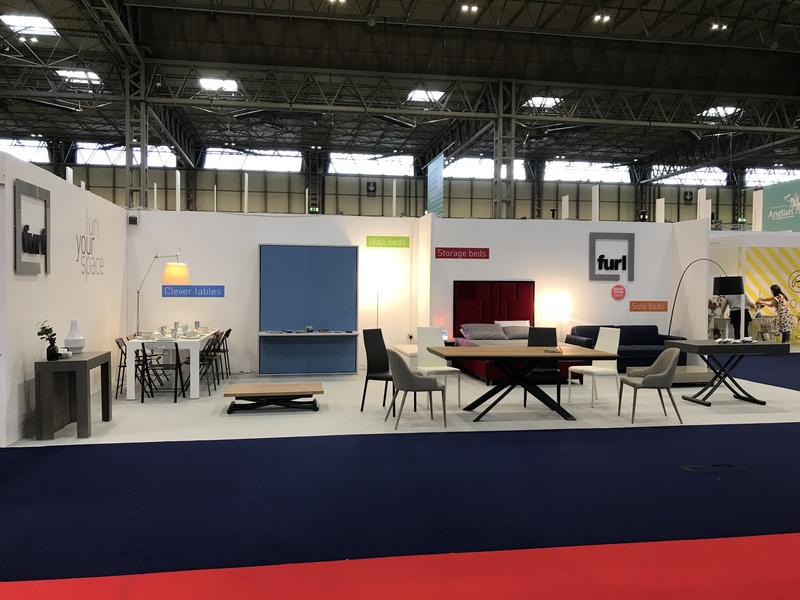 Unfortunately the show furniture has all come from our showroom, which looks quite empty at the moment and misses it’s furniture. So we need it to come back to our showroom afterwards so that we can show all of you when you come to see our full range of products. This man couldn’t help but pick up one of our folding leaflets, and we don’t blame him! This year at Grand Designs Live we have won one of ten badges given out for ‘Grand Designs Magazine Loves’. That put even more of a smile on our faces! Next Next post: What do you think of our new luxury storage bed?